Solid 40mm top with 40mm staves supplied in Oak. 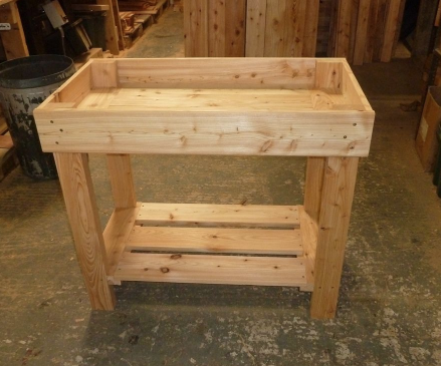 The carcass is constructed from four way planed 95mm x45mm larch. The side, end and bottom boards are 21mm larch. 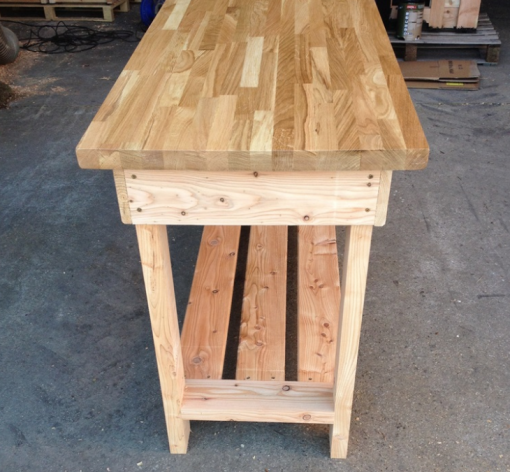 The table ends are supplied sub-assembled only requiring the side, bottom and top boards to be fitted. All the boards are pre drilled, fixings and an assembly guide are also supplied. We can deliver this product Danish oiled if you would like this option please click here and add the treatment to your order. 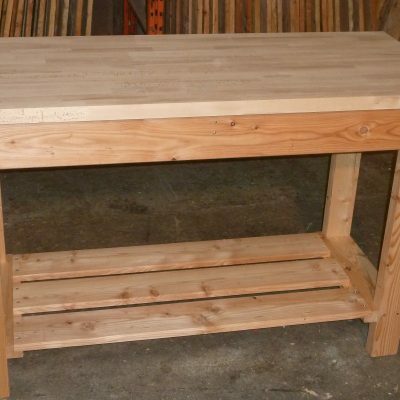 The workbench is supplied flat packed as standard. 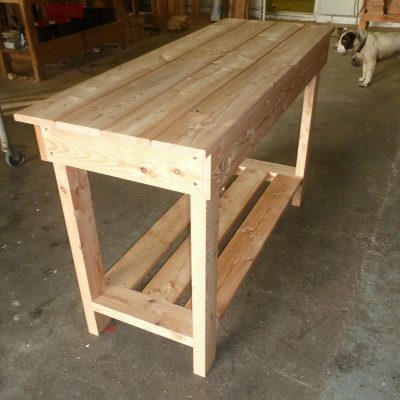 For fully assembled on a pallet please contact us.